Chances are you've day dreamed about a new kitchen for quite a while, but you just don't know how to turn those dreams into a reality. Homeowners everywhere face this dilemma year after year. Many homeowners will give up on their dreams or buy a new house just because they don't know where to begin or how to proceed. There are 10 steps that will help you get from dreaming to doing. Each step is just as important as the next, so don't rush through them. Take your time and plan ahead. This is one of the biggest investments you will make in your home and you want it to be perfect! A good place to start is always by taking a closer look at where you already are. In other words, take the time to evaluate your existing kitchen. Make a list of the things you like and dislike about your existing kitchen. Maybe you like having two wall ovens instead of a range or you love your gas cooktop, but you can't stand not having an island and your refrigerator gets in the way of everything. Here's a useful tool I created to help get you started, My Kitchen Evaluation & Priority Checklist. Create Pinterest Boards or Houzz Ideabooks or go old school and clip images from magazines that illustrate kitchen designs you like. Make notes for each image about why you like it or what appeals to you. Maybe you only like the cabinet color or hood design and nothing else. If you don't note that on the image, you will forget why you picked that picture. This process is also very helpful in step three. 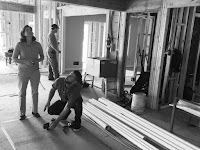 I know you binge watch Fixer Upper and you've seen every episode of Kitchen Crashers, but trust me on this one, you will want professional help. A professional designer or architect has the training, experience and expertise you need to get your kitchen designed and constructed in the most amazing way possible for your budget. You probably think you can't afford an architect or designer, but the truth is you can't afford not to have one. 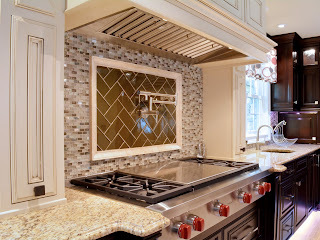 Find a qualified designer by searching the NKBA (Nation Kitchen & Bath Association) professional directory or search Houzz.com for local architects and designers. Ask your friends and neighbors for referrals too. A qualified designer will make sure your design functions flawlessly, is an efficient use of space, has a design aesthetic perfectly suited to you, will hold its value and appeal for years to come and will meet or exceed local and national building codes. They are up to date on the latest design styles, technology and building methods. 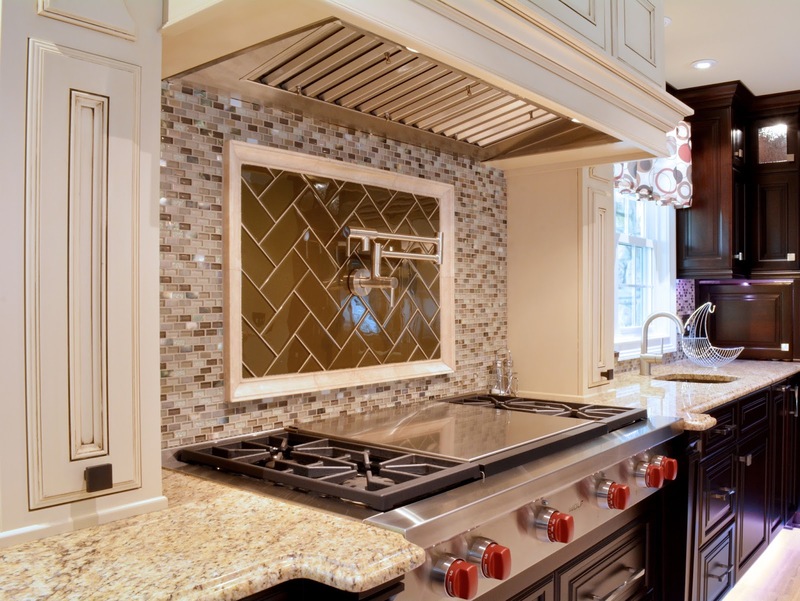 They also have a network of trusted contractors, subcontractors and suppliers at their disposal to assist with every aspect of your kitchen design and construction. They will act as your advocate and provide you with the documents necessary for pricing, permitting and constructing your new kitchen. In this step you are going to combine steps one and two by sharing the information you gleaned from your kitchen priority checklist and evaluation (step one) with your new architect or designer (step two). 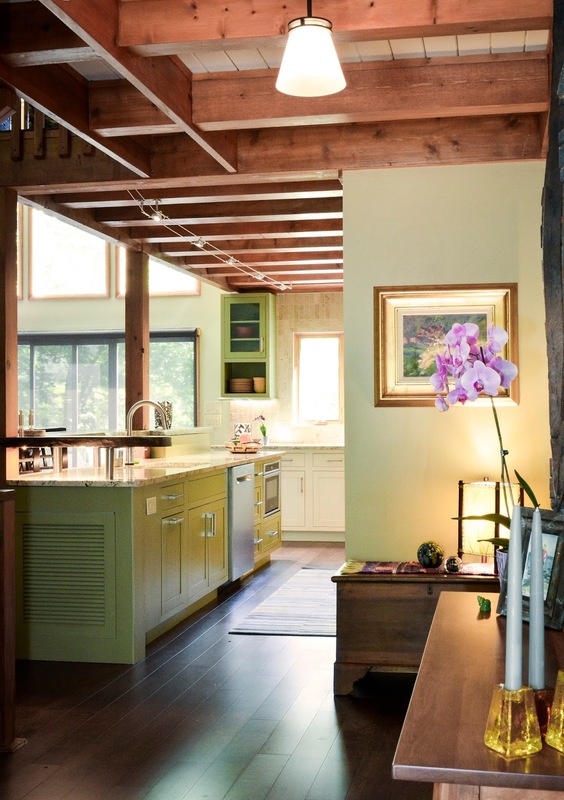 Share with your designer how you use your kitchen, how often you entertain, how many people work in the kitchen at once and any special storage needs you may have. The designer will take all of this information, along with precise measurements of your existing space, and create multiple schematic designs for your review. This is where the excitement begins. You will get to see your new kitchen coming life! In professional terms this stage is often referred to as "design development". 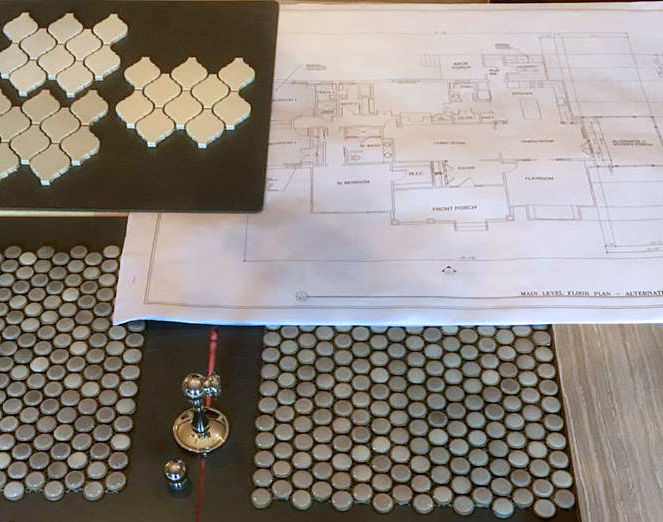 During this step, your designer will take the schematic designs from step three and will further refine them based on your comments and suggestions. This is not like your typical TV design show where the designer comes up with a design and you walk in to find a brand new fully styled kitchen. This is a process which requires your honest input and criticism. If you don't like something, speak up. If you don't understand something, ask questions. If you think you have a better idea, let the designer know. If you love everything about the design, you are ready to move on to step five. Once you have a design you love, it's time to dress it up. This step could happen later in the process, but there are advantages to doing it now. If you select your appliances, countertops, cabinet hardware, light fixtures, plumbing fixtures, flooring and colors (to name a few) at this stage then you won't be pressured to make rash decisions during construction. You also won't have a delay in construction when you are surprised to find out the tile you want is on back order for two months. By selecting your finishes and materials during step five, you also guarantee that you will receive more accurate pricing from contractors. If you plan to seek multiple prices, this step will result in bids which are more comparable and makes selecting your contractor much easier. At this stage, your designer will produce a series of drawings and specifications for your use in bidding and building your project. The documents typically include a site plan (if you are adding on), demolition plan (if you are tearing out), floor plan, cabinet elevations, lighting plan and finish schedules. These documents will be used by your contractor to estimate the cost of the project, secure permits and construct your new kitchen. Selecting a contractor is a very important step. Ask your designer, friends and neighbors for referrals. Interview each contractor and ask for a list of client referrals. Call the referrals. Ask about the quality of the work and the timeliness of the crew. You want to know if the contractor stayed on budget and on schedule. Request to see some finished projects. Most of all, trust your gut and don't base your decision solely on price. The success or failure of your project hinges on your ability to effectively communicate with your contractor. You have to be able to trust him or her with not only your home, but with your family. Choose someone you trust and someone who is bonded and insured. If you plan to competitively bid the project, do not select more than three bidders. Asking a contractor to bid against two other contractors is reasonable, asking them to bid against five is unreasonable. If you have a quality, trusted contractor you love, it's OK to negotiate a price and skip the bidding process all together. Once a contractor is selected, contracts signed and initial payments made, it is time to start building the dream. Decide whether you plan to live in the home during the renovation or move out. Don't underestimate the inconvenience of living through a major renovation. You are likely to be without utilities at times and you will not have a functioning kitchen for several weeks. The construction area will need to be sealed off from the rest of the house to prevent the spread of dust and debris, so if you're required to walk through your kitchen to get to another part of the house you may want to consider moving out temporarily. Construction is loud and it is messy. Don't plan to take naps or conference calls at your home during this time. Be patient, be flexible and be informed. If you have a question, don't hesitate to ask your contractor. Rely on your designer for construction therapy if need be. Just remember that every bang, cut and scrape is getting you closer the kitchen of your dreams. As construction winds down and the contractor is nearing completion, you will be asked to make a list of any errors, defects or deficiencies you see in the work. This is called a Punch List. You may find cabinet doors that need adjusting or floors with a deep scratch. Maybe the hood isn't working or the faucet drips. This is your opportunity to list the items you would like to see corrected before the contractor moves on to the next project and before you make final payment. Be reasonable. If you aren't sure if something is reasonable, ask your designer. Designers are aware of what's considered acceptable tolerances. Establish a date of completion for Punch List items so everyone knows what to expect. Once all the excitement of construction is over, it's time to enjoy your new kitchen! Organize your dishes, pots and pans. Add special touches with artwork and decor. Fire up your new appliances and cook your first meal. The kitchen is the heart of our home and you've just received a new heart full of energy and life. Enjoy it, share it, entertain your friends and neighbors in it. You're going to love your new kitchen!